Am I allowed to get a buzz from a new feature on my website? 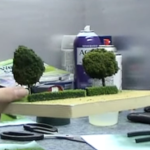 I’ve just to the put the finishing touches to a brand new feature of Model Railway Engineer. 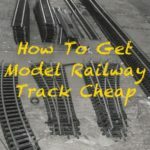 And, it’s one that takes me right back to my early days of model railways but also one that I hope you’ll find very useful. When I was a knee-high to a grasshopper, I’d spend my Saturday afternoons visiting my local model railway shop (Platform 1 in Wimbledon). There, I’d scour the shelves for bargains that my meagre pocket money would allow. I’d end up picking through the scenery and tools display stand, where I’d spend contented hours closely examining shiny tools, mysterious oils and bag-after-bag of foam scatter and ballast. 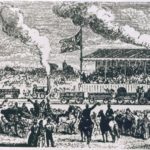 Regular readers will know that the goal of this site is rooted in those early years. 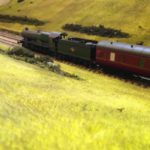 This is where I rekindle my childhood delight and a lifelong passion for model railways, where I experiment and test modelling and engineering and strive to help others to get started and create your own miniature worlds. There are now hundreds of articles, tips and guides here to this end, 300 at the last count. And when talking about a specific tool, accessory or material I often link to where it can be purchased. 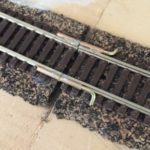 I hope this approach is helpful when you’re looking for a guide on how to do or build something on the layout. But I appreciate that when you’re subsequently in the middle of a doing it, or you have a go later, and realise you need a tool I’ve mentioned it’s not so helpful. I’ve now created my own incarnation of the tool shelf in Platform 1 I frequented as a child. 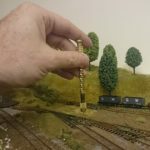 Here in my online model railway shop, you can quickly and easily find the tools and accessories that I’ve found useful and have tried and tested. And, yes, I get a buzz from looking at the pictures of the shiny tools on display. But it’s also got the advantages of being an online shop. Everything is categorised by activity rather than an obscure name or make. I don’t know about you but if I want to check if the wheels on a wagon are the right distance apart I think in terms of rolling stock servicing and maintenance. I don’t automatically think of something called a back-to-back gauge. Yes, it’s the right name but that doesn’t help if you don’t know what it’s called. 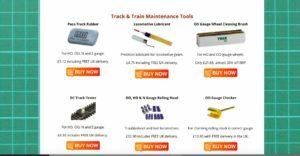 So if you’re looking for tools for track laying just go to that section and you’ll find the best tools I’ve found to help with this. Likewise, if your locomotive(s) need a service, you needn’t remember the name of a particular lubricant I recommended. Click on servicing and maintenance and you’ll see the most effective oils, greases and tools I’ve come across. 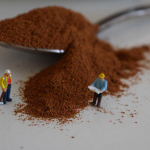 While hopefully, you’re not on as restricted a budget as my tiny self was, I’m also very conscious that money is a real concern for most people so I’ve also picked the most value-for-money offerings and those with free next day delivery. I hope you find it useful. If there are any tools you use and think others would find helpful, please let me know and I’ll check them out and if agree list them too. 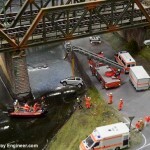 > Browse the Model Railway Engineer.com shop. PS: I should add that as these are via Amazon and eBay the links are part of their affiliate scheme. This means that while the price to you doesn’t change, I get a small commission which goes towards to the running and upkeep of this site.